Arianespace’s final flight of the year, that of the CSO-1 concluded the French-based company’s 2018 launch manifest as well as provide greater security. It lifted off a little later than planned, but helped cap a successful year for the Paris-based firm. The VS20 mission saw the first satellite in the Optical Space Component (CSO – Composante Spatiale Optique) constellation lift off the pad and into the skies above Sinnamary, French Guiana and marked the start of a program important to nations across Europe. 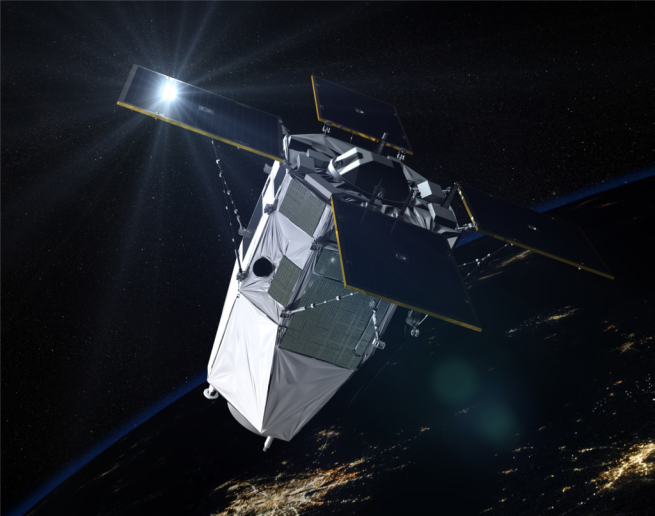 Besides defense and security, the CSO-1 satellite will also provide Earth observation services. It was launched from the Spaceport’s ELS launch pad at 1:37 p.m. local time (11:37 a.m. ET / 16:37 GMT) atop a Soyuz ST-A rocket from the Guiana Space Centre in South America. With it safely off the pad, CSO-1 is on its way to a Sun-synchronous orbit at an altitude of about 497 miles (800 km). From this point in space it will collect 3D as well as (very) high resolution. It will do so day and night through a wide range of modes in both the visible and the infrared. There are two more CSO spacecraft being readied to sent into polar orbit along with its sibling. Each of these will be placed into different altitudes. While the first and third spacecraft will survey, CSO-2 will identify. It is hoped that these spacecraft France’s needs in particular and Europe’s in general. Arianespace has described some of the spacecraft’s objectives will be to conduct global intelligence and strategic surveillance, knowledge of the geographic environment and support for operational deployments. The rocket used on this flight employed a Fregat-2 upper stage and uses an advanced control system to help it maintain the legacy of the highly-successful launch vehicle.